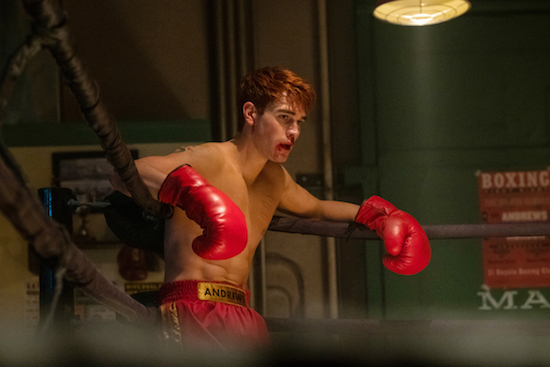 RIVERDALE’s Archie (KJ Apa) is back to his boxing ways on the Wednesday, April 17 episode, but he may not be prepared for what’s ahead. Riverdale -- "Chapter Fifty-Three: Jawbreaker" -- Image Number: RVD318b_0271.jpg -- Pictured: KJ Apa as Archie -- Photo: Katie Yu/The CW -- ÃÂ© 2019 The CW Network, LLC. All rights reserved.